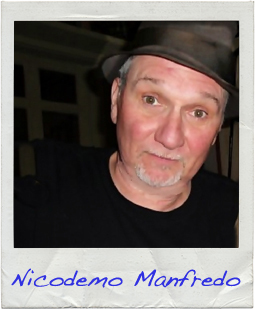 Nick Manfredo was born in 1954 in Pittsburgh, Pennsylvania, into a family of questionable character, and lived there until he graduated high school in 1972. A lifelong professional musician, Nick’s first instrument, a guitar, was provided by his uncle Billy. Billy, a member of the family business—larceny—had asked Nick what he wanted for Christmas. Nick replied, “A chemistry set.” Billy’s answer was, “Where in the hell am I gonna steal a chemistry set? You’re getting a guitar.” Nick left Pittsburgh after graduating high school, living and traveling extensively in the U.S., Ireland and Canada. He began to keep journals and write stories while playing in a bar band in Belfast, Northern Ireland, during the height of the “Troubles” in 1974. He now lives in Boston. Read the first page of Nick’s story!